Commercial litigation, real estate litigation, construction litigation, legal fee assessments or personal disputes — No matter what the problem, we at Home & Castle Law Firm tackle your dispute with innovation and sensitivity. We put our mediation know-how to work when managing impending lawsuits, always seeking the best possible outcome for you. Experience in a courtroom setting and an understanding of current proceedings, as well as jurisdiction-specifics, are vital to trying and winning cases. Over the years we have represented corporate clients and professionals, and we have successfully resolved complex disputes with integrity and timeliness. Our litigation department has a proven track record for landlord / tenant disputes, construction liens, partnership and shareholder disputes and commercial tenant disputes. No matter what challenge awaits, we can help! Firmly dedicated to helping you build a thriving business — at Home & Castle Law Firm we provide a wide range of business services. We’ll establish the legal safeguards that will best protect your assets, while keeping you well ahead of your competitors. With a strong focus and understanding of contractual agreements, we’ll assist you in defining everything from partnerships to client contracts. As the parameters of business law continue to expand, we lead the legal pack by focusing on business development, rather than just the latest trend. We are interested in the big picture. We concern ourselves with where your business will be in ten years from now, not just today. You need a law firm with proven skills in contracts, incorporations, financing, partnerships, franchises, e-commerce, trademarks, copyrights, and liability protection. You need a legal team with a practical approach to business, an appreciation for entrepreneurial vision, and knowledge of a broad spectrum of key industries. We can help. It takes a lot of hard work and dedication to turn a new business into a growing enterprise. As a small business grows and matures its legal needs will change tenfold. If your business needs that extra boost, we’ll give you the legal advice that will make sure your business is headed in the right direction. 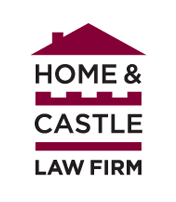 The team at Home & Castle Law Firm will help you meet your business goals. Our legal services have helped to encourage market success for a wide variety of industries like construction, property management, communications, and technology. In addition to our real estate litigation services, we facilitate the administrative requirements needed to complete your transactions smoothly. When proper documents are in place and handled efficiently, your real estate deal can be finalized with uncharacteristic ease. Our real estate team brings expedience to slow real estate transactions. At Home & Castle Law Firm, we help you put into order the paperwork, paying close attention to deadlines. We prevent the snags and delays that keep you from acquiring, building, leasing or selling your property. Best of all, we’ll take care of all the unexpected details of your property transaction, so you can attend to the rest of your life. An understanding of the law and your personal needs and desires is essential when preparing your will or powers of attorney. At Home & Castle Law Firm, we take the time to assess your personal circumstances to assist you in developing your will and/or powers of attorney. This pre-emptive work benefits you and your loved ones. We make certain that your business and property will be attended to according to your specific instructions. At Home & Castle Law Firm, we can assist you with a dispute that involves the payment of lawyer’s fees. We can review the legal fees that you have paid another lawyer in order to assess whether the fees that were charged were reasonable. We can assist if a formal assessment ( a proceeding before the court) is required to resolve the dispute over the legal fees.